Who has not, a hundred times, found himself committing a vile or a stupid action, for no other reason than because he knows he should not? To those who have cherished an affection for a faithful and sagacious dog, I need hardly be at the trouble of explaining the nature or the intensity of the gratification thus derivable. There is something in the unselfish and self-sacrificing love of a brute, which goes directly to the heart of him who has had frequent occasion to test the paltry friendship and gossamer fidelity of mere Man. Nothing is more vague than impressions of individual identity. Each man recognizes his neighbor, yet there are few instances in which any one is prepared to give a reason for his recognition. To be buried while alive is, beyond question, the most terrific of these extremes which has ever fallen to the lot of mere mortality. Down—steadily down it crept. I took a frenzied pleasure in contrasting its downward with its lateral velocity. To the right—to the left—far and wide—with the shriek of a damned spirit; to my heart with the stealthy pace of the tiger! I alternately laughed and howled as the one or the other idea grew predominant. Down—certainly, relentlessly down! Believe nothing you hear, and only one-half that you see. Všechno, co vidíme nebo soudíme, je pouhý sen uvnitř snu. ↑ Peter Russell. Od vědy k Bohu: fyzikova cesta do mystéria vědomí. Překlad Viktor Horák. 1. vyd. Praha : Dybbuk, 2008. 108 s. ISBN 978-80-86862-68-2. S. 39. ↑ Josef Škvorecký. Nápady čtenáře detektivek. 1. vyd. Československý spisovatel : Praha, 1965. 163 s. (Otázky a názory; sv. 55.) 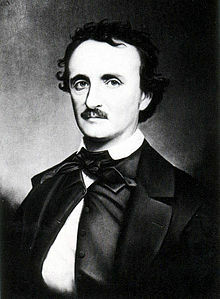 Kapitola 1. edgar allan poe, neboli zrod detektivky z poezie, s. 11.